We’re delighted that now our entire therapist team at both Ashbourne and Belper are now trained in HD Brows – the UK’s No.1 eyebrow treatment. So what is it? HD Brows is a bespoke eyebrow treatment that is completely tailored to you – not a brow stencil in sight. It’s so much more than a standard eyebrow tint and wax; our expertly trained team combine our unique brow design consultation with custom-blended colour, hair removal and make up application for brows that suit you, whether your wish to tame bushy brows or regrow overplucked eyebrows. Please note that a patch test is required 48 hours prior to this treatment. Book now by calling 01335343893 for the Ashbourne salon or 01773822520 for Belper. Don’t forget there is free parking from 2pm throughout December in Ashbourne. The closest car park to the salon is Shaw Croft, the postcode is DE6 1GD. The perfect brows might just be one treatment away, however those with sparse or over-plucked brows may need a regrowth programme. Our therapists will show you the areas needed to grow so the shape can be improved at each appointment. You’ll also be educated on the best HD make up to use on any gaps in your brows. HD Brows takes around 45 minutes and costs £30. The effects usually last around 4-6 weeks, however this can vary depending on your hair growth. We follow the same ‘one shape doesn’t fit all’ ethos throughout every part of the treatment, including tinting. The custom-blend our bespoke HD Brow Dyes to create the perfect tone to complement your skin tone and hair colour. 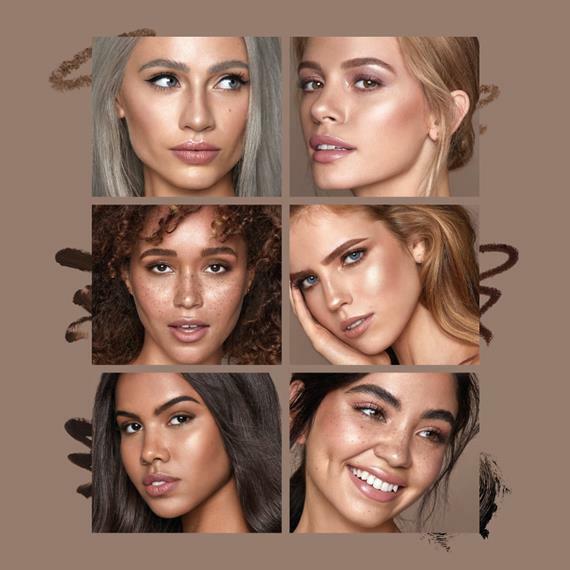 When it comes to the shape we use a brow mapping and measuring formula to design your brows before using a combination of High Definition hair removal techniques including waxing, threading, tweezing and trimming – all to create a bespoke brow shape for you. LVL Lashes is an enhancing length, volumising and lifting treatment which works by straightening and tinting your natural eyelashes for a more dramatic look without mascara. It’s a popular treatment which can be combined with HD Brows to enhance your natural features. LVL Lashes is priced £48 or HD Brows and LVL Lashes is £70 and the treatment time is 90 minutes. Book now by calling 01335343893 for the Ashbourne salon or 01773822520 for Belper. 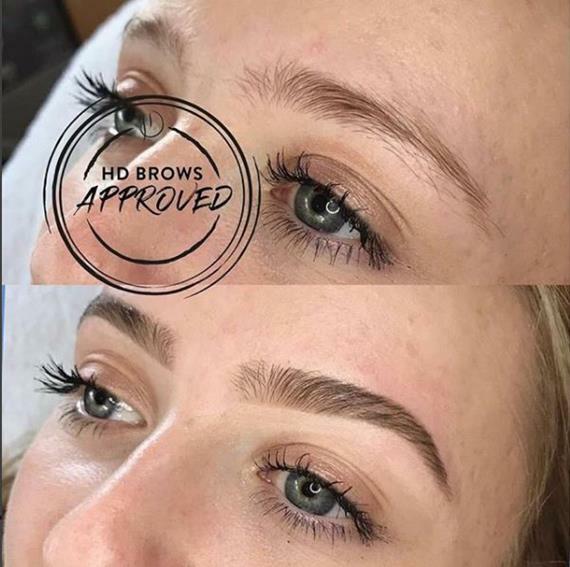 This entry was posted in ASHBOURNE, BEAUTY, BELPER, INSPIRATION, MAKE UP BY HD BROWS, NEW PRODUCT, SPA and tagged EYEBROWS, HD BROWS, lvl on 4th January 2019 by emmanuelle. This entry was posted in ASHBOURNE, BEAUTY, EVENT, INSPIRATION, MAKE UP BY HD BROWS, SPA on 20th May 2018 by emmanuelle. 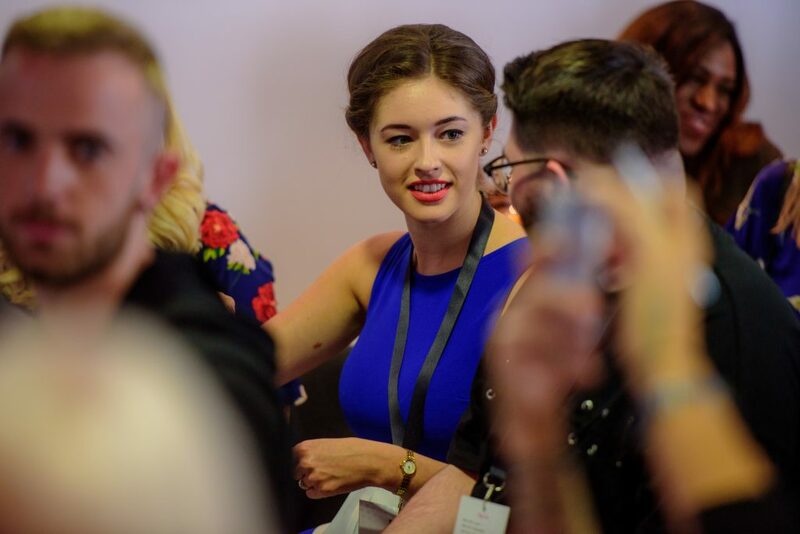 Sun, sea and a sensational line-up of guest artists were the order of the day when the L’Oréal Professionnel ID Artists enjoyed a three-day education trip. The L’Oréal Academia, Barcelona was the stunning venue for 63 ID Artists who were all there to prepare for the L’Oréal Colour Trophy Backstage Live Tour, which kicks off this today visiting 10 cities in the UK and Republic of Ireland. On day one I had some free time before the first meet up so I went for a paella lunch with some of the ID Artists before exploring Barcelona. During the welcome meeting there was inspirational talks from the L’Oréal team and the Rush Art team and then a briefing on the colour trophy hair show. We were shown demonstrations on each look that we have to create on the colour trophy tour which I will be taking part in and competing in. After the meeting there was a drinks reception dinner followed by a night out in Barcelona. On the second day, the morning started with an in depth demonstration of the two main styling looks for the colour trophy tour. This was then followed by the ID artist team practicing the two looks on dolls heads in pairs. In the afternoon we took it in turns to make pom poms out of hair and make wigs, using extensions the colourists had coloured in the morning. That evening we had a tapas dinner and drinks with all of the ID artists and L’Oréal team. The ID Artist programme from L’Oréal Professionnel has one goal – to find talented individuals who could be the future stars of the hairdressing industry and work with them to further develop their talent and discover their full potential. We encourage out team to audition and our current or former ID Artists include Lizzie (Sadler Gate), Deesh (Duffield), Laura (Belper), Alice and Imogen (Ashbourne) and Lorna (The Old Hall). This entry was posted in ID ARTIST, INSPIRATION, L'OREAL COLOUR TROPHY, L'OREAL PROFESSIONNEL on 15th April 2018 by emmanuelle. A game-changing in-salon lightening technique that gives you face framing highlights in half an hour thanks to a specific lightening cream and heated hair iron that cut out the usual development time. Why Instant Highlights instead of my usual highlights or balayage? 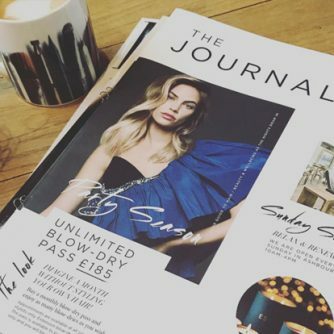 Here’s the deal – it won’t replace your full head of highlights (because the whole point is not to take so much time), but if natural looking balayage is your thing then instant highlights could easily be added to your Cut and Blow-dry. Why? Because it has the same lightening effect (up to 6 levels on un-dyed virgin hair) as regular highlights, but in an express time limit. 1. InstaContouring – 5-10 face framing pieces. 2. Instalights – 10-15 woven highlights all over your head. 3. Instarevive – up to 15 pieces give a grown out balayage a good old refresh. 4. Instapop – add block sections of pastel colour. Our pricing includes Smartbond but any toners or colourful hair will be added to the prices above. Please ask your stylist if you have any questions about Instant Highlights which is now available in all salons. This entry was posted in ADVICE, INSPIRATION, L'OREAL PROFESSIONNEL, NEW PRODUCT on 2nd March 2018 by emmanuelle. This entry was posted in ADVICE, Angel, ASHBOURNE, BACKSTAGE, EVENT, INSPIRATION on 20th September 2017 by emmanuelle.